Basket Creations Plus, started as a dream, and became a reality in August of 2002. 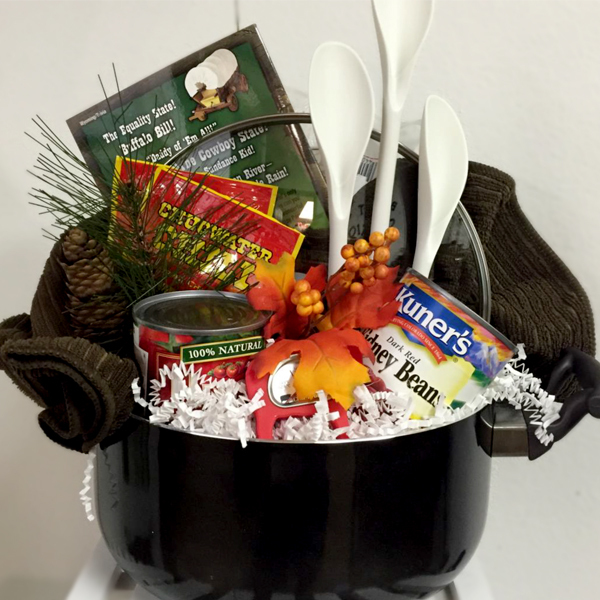 We strive to create gift baskets that bring comfort and joy to anyone wanting something unique and personal. We work hard to deliver a great product for you! The basis of our business is customization of each and every basket, either with your ideas or ours, no idea is too difficult! Shipping locally is simply $5 and handling fees will be added to those gifts or items going outside of our local delivery area. We would be happy to assist you with any special requests. Please email us at orders@basketcreationsplus.com or call (307) 237-3357 to discuss creating that special gift. A nice care package for someone that may just need a boost! Suggested items include: Cookies, lotion, tea, chocolate, bath scrub, etc.